Tag Archives: In my BAG! 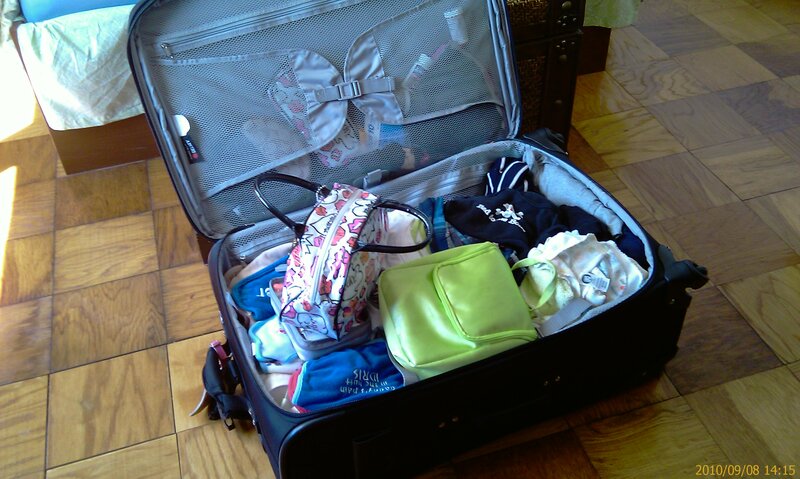 My suitcase, topped off with some of my son's stuff! I am so excited!!! I can’t contain myself!!! LOL, I have so much to do in such little time. But you have to save it all till the last minute because most of it is the last minute things. Anyhow, so today I’m leaving for Vancouver BC (Canada), I have my suitcase almost ready to go, I still have to add my son’s bottles and spoons and stuff. I always promise that I’m going to pack light, but it never happens, so i’ve been packing and unpacking and then repacking, lol, it’s crazy, we’re going for 2 and a half weeks, I don’t know how to pack LIGHT!!! 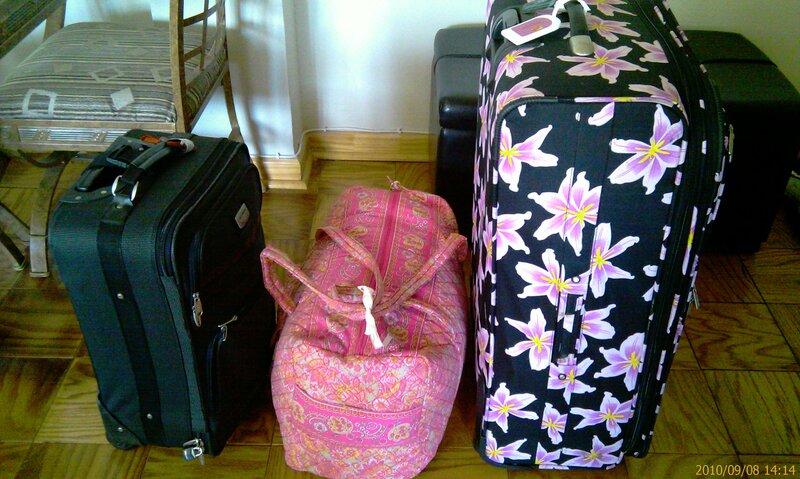 I’ve already over packed, being a hijabi who loves fashion isn’t a easy task! You have to pack shoes and hijabs and underscarves and sleeves and undershirts. Then you need jewelery and makeup and bags, which I had to pick only one because we had to decide on leaving one suitcase because we had no room. And my sister just had a baby!!! =D I had gift for my little nephew!!! I can’t wait to meet my little guy!! INsha’Allah!!! Mercedes Benz Fashion week starts tomorrow! If I wasn’t in VanCity, I would have been glued to the TV screen everynight and we would have been making trips the the City (Manhattan), just to please me!! LOL…i’m so crazy!